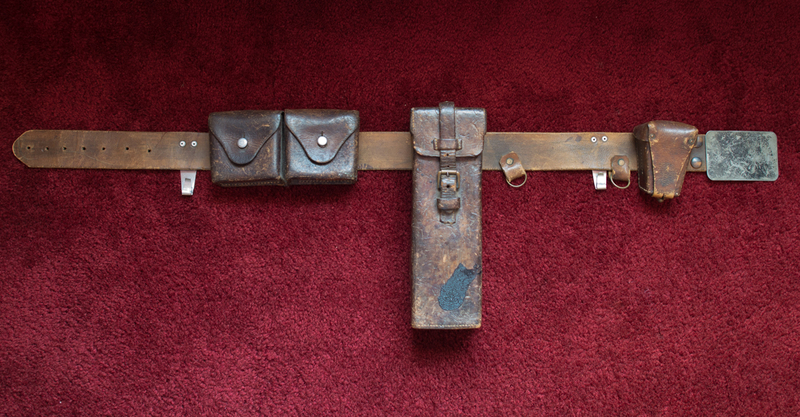 This is the belt worn by Mark Hamill as Luke Skywalker in the original Star Wars. 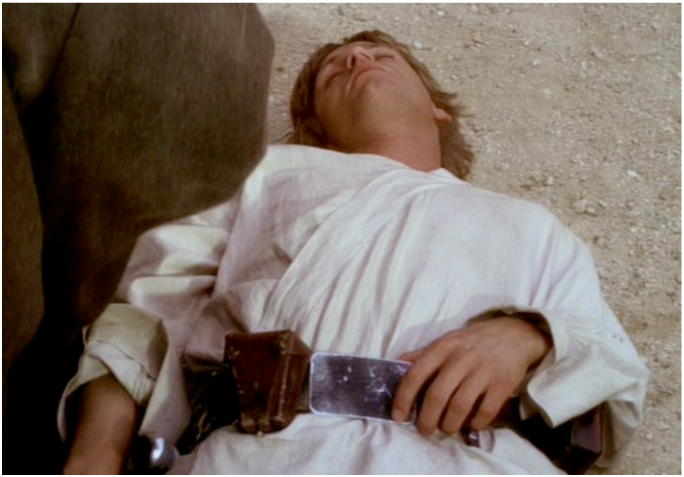 It matches almost every scene where Luke is wearing the brown leather belt in his farmboy outfit. 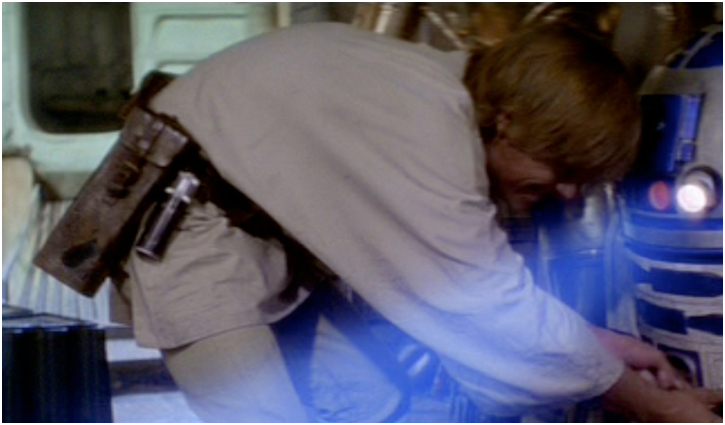 In the second shot, the green circles indicate markings that can be matched to various scenes in the movie such as the latter two images.